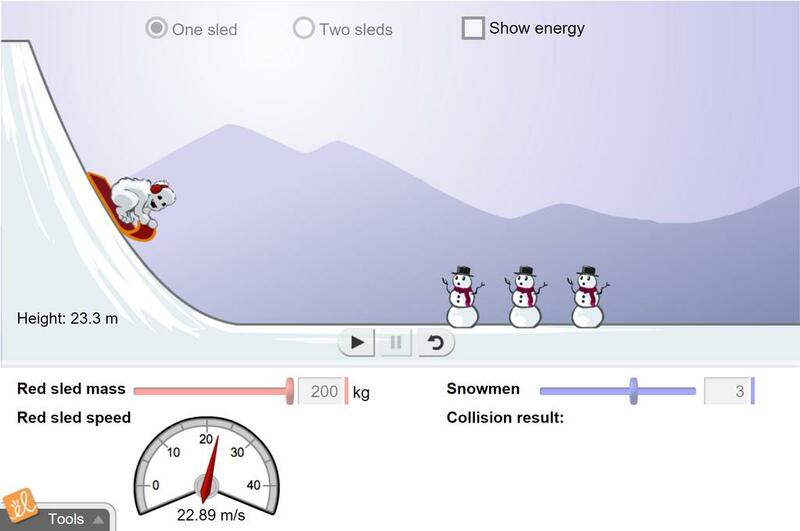 Explore acceleration, speed, momentum, and energy by sending a sled down a hill into a group of snowmen. The starting height and mass of the sled can be changed, as well as the number of snowmen. In the Two sleds scenario, observe collisions between sleds of different masses and starting heights. This is by far one of my most favorite Gizmos. I recommend this Gizmo for any physics or physical science class. Great lab: it proves that velocity of roller coaster does not depend on mass.